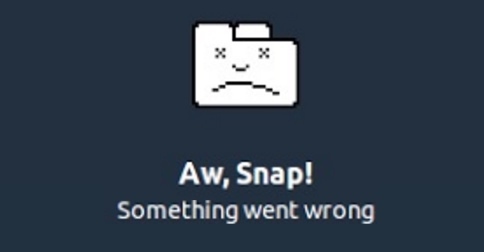 If you’re a user of Google’s Chrome web browser, you may have encountered a message beginning Aw, Snap! Something went wrong… when the browser is unable to display a page. This took me by surprise when I first saw it. 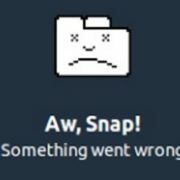 It’s not a use of snap! that’s found here in Britain, and I have no memory of it from my years living in America. Brits use this exclamation to register that the speaker and hearer have something in common, eg Snap, that’s the same phone as I’ve got or Snap, that’s exactly what happened to me. As far as I can establish, this use seems to have originated in African American English and to have become mainstream relatively recently. I think it’ll have to be used more widely than in Google Chrome before Brits adopt it.